The SIP Protection Chainsaw Gloves 2SA7 are constructed from hard-wearing cowhide leather with strong water- and oil-repellent stitching for superior durability. 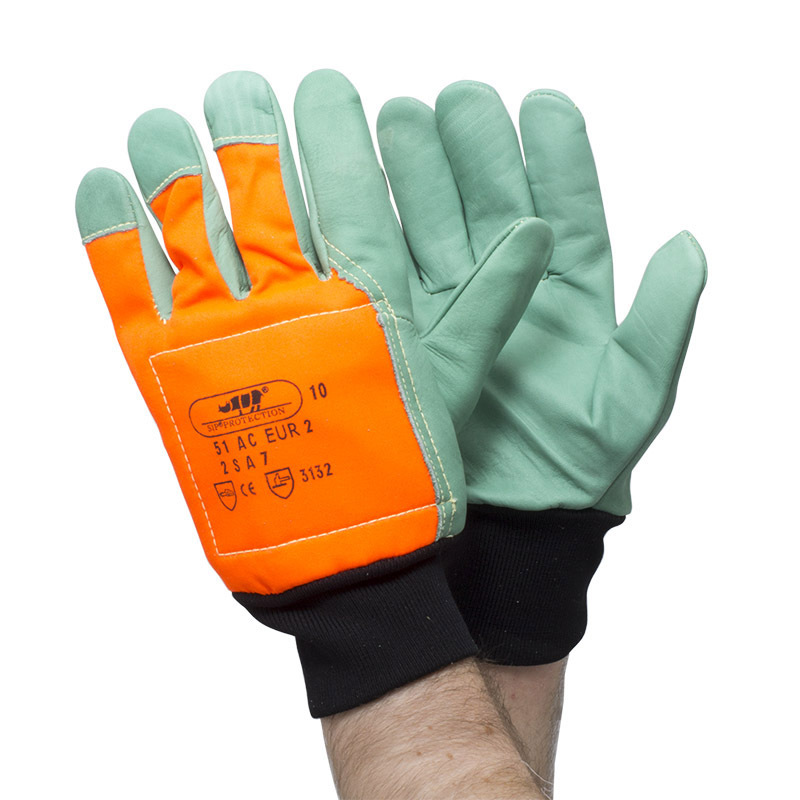 Designed specifically for protection during chainsaw operation, these gloves feature Class 1 chainsaw-cut protection in the left hand glove and a fluorescent back-of-the-hand for greater awareness and safety in conditions where visibility is poor. 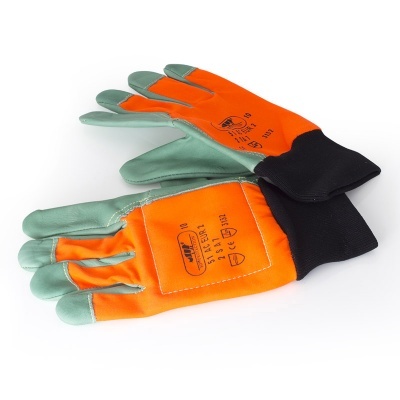 When tested to EN 381-7:1999, these gloves achieved a Class 1 rating, meaning that they will resist tearing when in contact with a chainsaw blade moving at 20 metres per second. 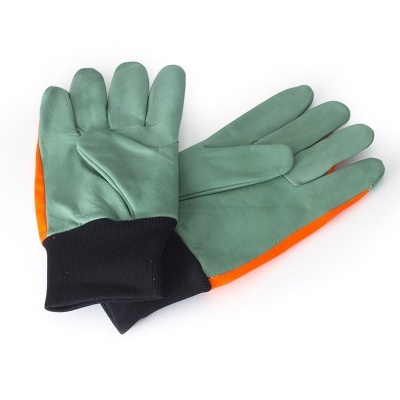 These gloves are available in sizes 9 and 10, one of which should be suitable for most users. Please measure the circumference of your hand around the knuckles (excluding the thumb) with your hand open and your fingers together, and the length of your hand from the tip of your middle finger to your wrist.